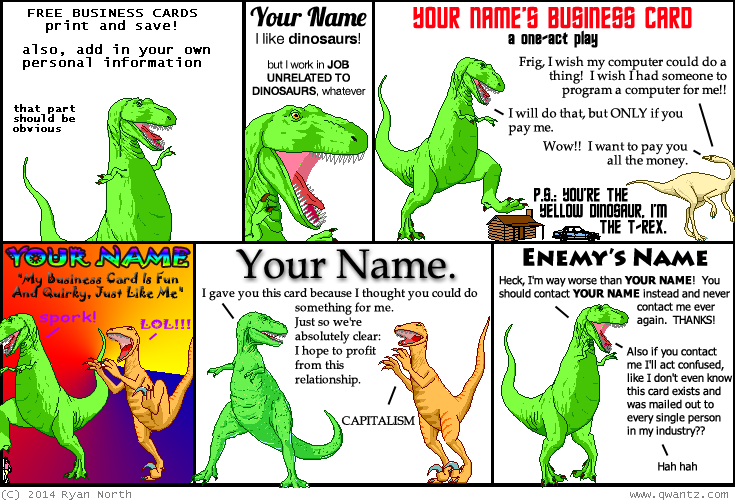 Dinosaur Comics - June 11th, 2014 - awesome fun times! –Where you can't die any other amount of times, such as zero or more than one! June 11th, 2014: I got my dog Noam Chompsky groomed for the first time yesterday and you can see the before-and-after pictures here!